Apple uses USB-C in latest notebooks and now in iPad Pro. I am surprised they didn't implement this yet in latest iPhones, seems strange to introduce iPhones with lightning connectors and only a few weeks alter iPad Pro with USB-C. I expect next year iPhone will have USB-C too. There were probably other types of ports that Apple used but I may not be familiar with those. I believe when PCs were using VGA, Apple had a slightly different connector but it was mostly the pinout that was different, I think with the right adapter you could connect a PC monitor to a Mac and vice versa. SCSI was also used by some PCs, I don't think that was Apple specific. Edited 1 time(s). Last edit at 11/08/2018 10:11PM by space-time. .....what about the connector called.......friendship.....??? It was a game changer as my first school-wide network setup. Print from anywhere...but more importantly, Spectre and Super Maze Wars network games. Apple will put in USB-C with their next gen 5G iPhones, reprising the iconic iPhone4/5 look they put in the latest iPad Pros. Connectors - Intel invented Thunderbolt, I believe. ADB is just a version of S Video. Apple still sells a Magsafe Mac in its store, the 2015 MBA. USB-C is definitely the future, and I cannot wait to get there. OK, the protocol is still there (travelling over USB-C connectors), but the form that was the same as miniDisplayPort is now dead, isn't it? and this brings up another point: using some ports (for example miniDisplayPort or USB-C) for other protocols (Thunderbolt). Another example is ADB using S-Video connectors and cables. Don’t hold your breath on 5G phones anytime soon. Lots of connectors across many different companies/technologies have been changed over time for the better. I have a four bay TB2 box and a TB2 hub - when I get a new mac, it'll all work just as well with an adapter. AAUI, their interface to ethernet. I think I still have the adapter somewhere. And let's not forget their own VGA connector. Right, I think he mentioned that; Apple used a 7/8 pinout, while PCs were 5/5/5. 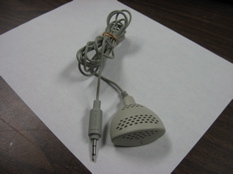 This adapter also ensured that you could not push your computer closer than 4" to any wall. Intel created Thunderbolt as an optical technology. Apple created the mini DisplayPort connector for the MBAir. Apple successfully convinced Intel to make the TB protocol work over copper, using Apple's mini-DP connector. Separately, the PC standards people (IECC?) decided to adopt Apple's mini-DP connector as a DP standard and you still see it on MS Surfaces. The decision was made for TB3 to use the USB-C connector but the protocol is still the same TB (but faster), just now with a third different physical connector. Edited 1 time(s). Last edit at 11/09/2018 01:02PM by Lew Zealand. Will be in 2020 or 2021 iPhones. Either way, going 'square' will make the next gen iPhones LOOK different, so adding USBC then would be easy enough. So I guess it's 2019 - 'square' iP X models, 2020 would be the 'S' year, 2021 would be 5G? Something like that. DIN8 serial port / localtalk was a fun one. I think I still have a USB to localtalk adapter somewhere. Had lots and lots of serial port peripherals and interfaces to deal with. 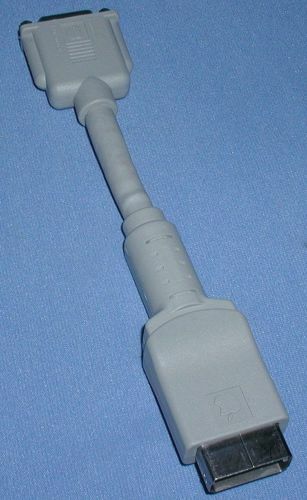 PlainTalk Mic connector. Was a longer version of a standard 3.5mm / 1/8" plug, with the tip getting 5v power. At one point I tried really hard to find a jack compatible with this plug, without success. Lightning connectors are thinner than USB-C connectors. Apple's phones have gotten thinner, which doesn't fit with going to USB-C.
Apple has pushed "thin" on the iPad line too. The iPad Pro is aimed at a different market. I can't see Apple putting standard USB-C connectors on iPhones. So, will we get an updated Lighting connector that's a "mini" version of USB-C?